Well, imagine beggars. They approach you at absolutely any cost for some alms. They can be pretty aggressive, almost demanding too. 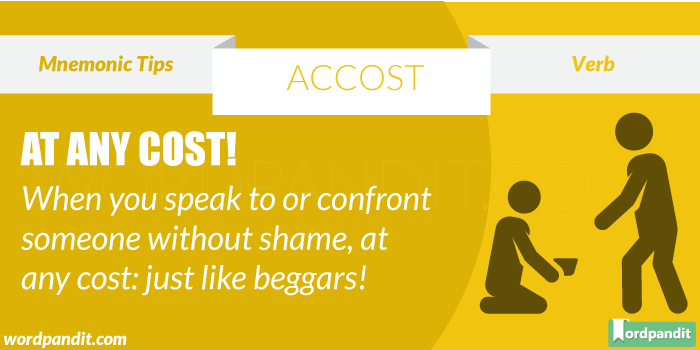 That precise action, where you are approached aggressively or boldly is referred to as accost. 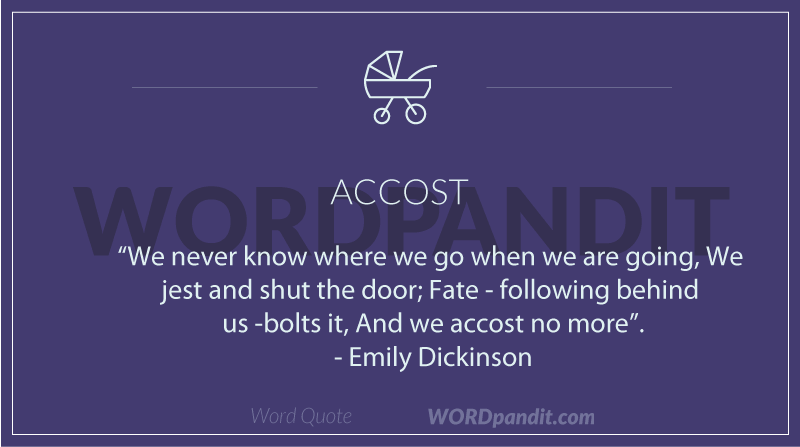 Accost breaks down into a simple word combination: AT ANY COST. But what do you do at any cost that helps explain the meaning of the word? Anything you would do at any cost can be used as a memory tip for this word. 1. The students accosted the principal so that they could get an off from college. 2. The beggars accosted the little boy and his mother till they got something from them. 3. Prostitutes generally accost men in search of clients. truly amazing site …… awesome!